Featuring the last of steam and early diesels moving tonnage and passengers. 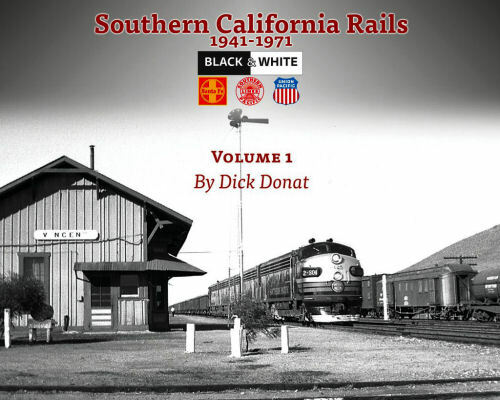 Southern Pacific, Santa Fe, and Union Pacific are the main focus, but Pacific Electric and street railways, excursions, and short lines are also shown. Soft cover.